Head to Frankston Arts Centre during the second week of the school holidays to enjoy the eggcellent on-stage adventure of Stripey the Emu Chick. 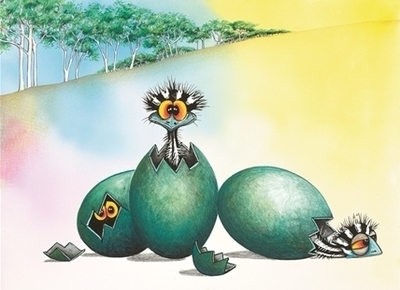 Based on the books written and illustrated by Wendy Binks, Stripey the Emu Chick follows an emu dad Crikey as he looses one of his 30 small emu offspring; Stripey. While searching for the elusive Stripey, an array of loveable Aussie animals make their way into the story such as Fluster the Corella, Bluey the Kanga, Sox's the Joey, Snap, Flatfoot, Strewth and Shuffle the Echidna. Get set for an all round cracking Aussie adventure suited to children aged 3 to 8 years.